Ventspils on the Baltic sea and on the Ventra river is the perfect gateway to North West Latvia and also a wonderful destination in its own right. You can book ferries to and from Ventspils easily and securely with AFerry. 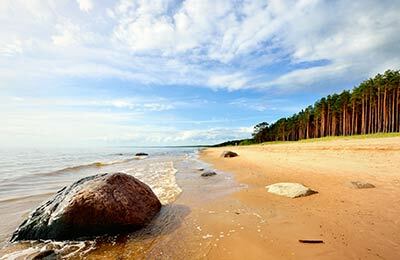 Below you can find Ventspils ferry times, as well as our best deals. Stena Line is one of the biggest and most well known ferry companies in Europe. Stena Line's ships have many facilities including lounges, play areas, shops, wi-fi access, bars, cafes and restaurants as well as a choice of comfortable en-suite cabins. With this ferry company you are sure to have a pleasant journey. Ventspils port is well connected to the rest of Latvia by the road network. 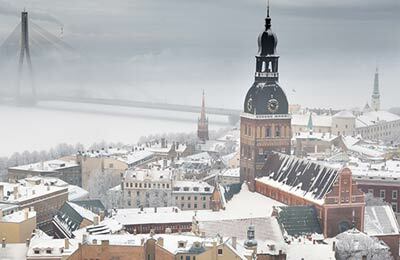 The A10 (E22) motorway connects the port to the towns of Taisi, Tukums and all the way into the capital city of Riga which is located 187km away and is approximately a two and half hour car journey. There are regular bus services to the city of Ventspils from Riga and Liepaja and other Latvian towns several times a day. All buses arrive at the Central Bus Station on Kuldigas iela 4. Schedules and prices can be found on the website of Riga's Bus Station.